And this week I bring you, from the Natural Science Association, fresh from performing an experiment, public relations officer Keri Robinson. Q: What is the purpose of the Natural Science Association? A: NSA aims to provide anyone (of any major) interested in science an opportunity to participate in science activities. During our weekly meeting, we try to do some kind of creative project, like make lava lamps or liquid nitrogen ice cream and then follow-up (scientifically) with how or why it works; or play a game like BINGO or Jeopardy! We also get guest speakers in a variety of science fields to come speak at our meetings to expose our members to all the options available to them after graduation. We host and participate in serious science events throughout the semester . In the Fall, NSA is responsible for hosting “Mr. Wizard”, a science magic show for family for family weekend, and in the Spring, the Science Olympiad, a competition that many local high schools travel to to participate in. Q: Who are your Officers? A: President: Amanda Oligny – Vice-President: Olivia Junco – Treasurer: Jeremy Stiefel – Secretary: Gabriella Castillo – Public Relations: Keri Robinson. Q: How many members do you have right now/this semester? A: 56 registered members. About 25 are able to consistently make meetings. Q: When and where are your regular meetings? A: At 2:40PM every non-colloquium Wednesday in Science Center room 352. Q: Is anybody allowed to attend your meetings? Are there any students that you’d especially recommend join? A: Anyone of any major interested in science is encouraged to join! Natural science majors (biology, chemistry, forensic science) make up our main member list, but we do not do anything exclusive to science majors only. Q: Do you work with other clubs often? A: We most recently collaborated with the Environmental Club on a trip to the Corning Bio-Reserve. We do correlate with other many clubs throughout the year that are not science related! Q: What events have you held/participated in before? What were some of your favorites? A: Every year we host Mr Wizard and the Science Olympiad, as well as participate in National Chemistry Week. On campus, we participate in events such as Harvest Fest and the Activities Fair. Recently, we hosted a Halloween Science Costume Contest. My favorite is always Mr. Wizard! Q: What activities do you have planned for later this semester or next semester? A: We have a “nerd raffle” left for this semester. 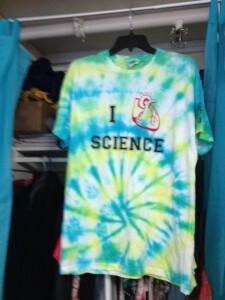 Next semester we will host the Science Olympiad, participate in the Joseph Henry Science Fair and plan more fun trips! Q: Do members get any special opportunities through this guest club? Any group clothing? A: Wee invite one guest speaker to campus per semester, as well as coordinate one “career field trip” per semester. We also host fun trips to places like Boston, Salem, or NYC once per semester and multiple smaller trips, like apple-picking or movie premieres. Each year we also order club apparel, usually a tee-shirt or sweatshirt. Q: Are there any dues to be payed in being a part of the club? Q: Is there anything else you would like to add to those who might join? A: Feel free to stop by and check us out! Attend once, and if you like what we do, come back! If you are unable to attend our meetings. but would still like to attend our events, that is allowed! B: Who can be contacted for further information? 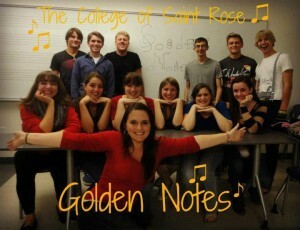 Next time: The Golden Notes!